...and I salute you Phil Lightband! When pilots were REAL pilots! 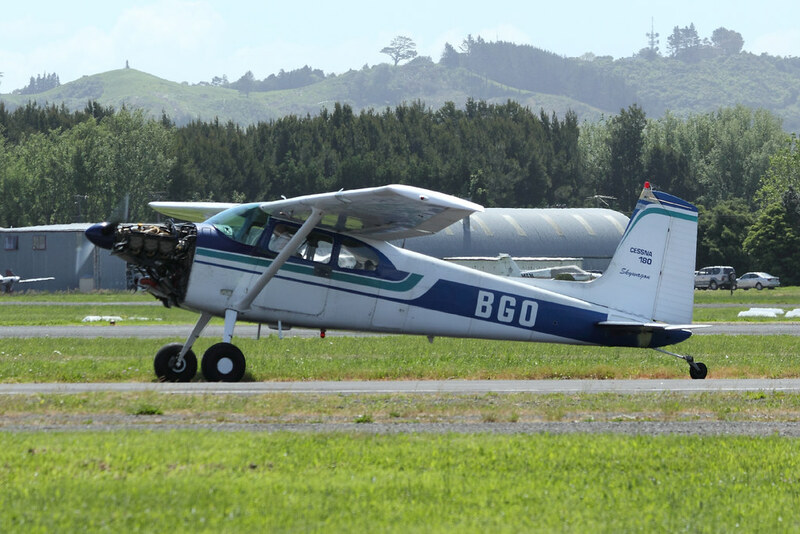 "SSAS used their Cessna 180s interchangeably between passenger carrying ops and aerial work, depending on the season. It was during a topdressing sortee that ZK-BGO crashed at Bell Hill, North Canterbury 11 Nov1965 while being flown by Dave Cowan. The damaged aircraft was then passed on to Peter Lacey at Nelson. Rebuilt by mid-1967, it then went on to a long life with a number of other private operators and is still current based near Auckland." It is registered to Graeme Dugdale of Auckland. I suspect it would be Ardmore based and I have a vague recollection of it being at Tauranga Airport a while back. I am seeking this information to assist Richard Waugh with his latest aviation book concerning the 1967 accident of Dominie ZK-AKT, being flown by his father. Thanks in advance for guidance. A telephone number for Graeme would be helpful if known. The pic in Errol's link. For the record, I have found out the status of ZK-BGO I sought yesterday. It is on a major overhaul in Dunedin.